How is Agile defined? What does it mean? In recent discussion within my company and also in discussion with other people, I recognized that people use the term Agile a lot. It is also obvious that people partyl have a thoroughly different understanding of the meaning of Agile. When reading about the topic in the internet, following some people on twitter and reading books about agility and similar topics it becomes apparent that Agile has arrived at mass-movement. It is no longer well-understood and sharply defined. The term is more or less a buzzword. Think of “SOA”, “Test Driven Development”, “High Availability” or “Big Data”. All of them arrived at the buzzword-level. Anyway, that’s hard to change. active; lively: an agile person. So, we’re talking about an adjective – a closer description of the state of something. Agile doesn’t stand on its own. It refers to something. Interesting. But what does it refer? In the context of agile organizations the term very commonly gets confused with other agile things. A lot of people refer to their organization as agile since they introduced SCRUM or Kanban as their software development frameworks. These people confuse Agile with frameworks with comparable core values and motivations. In SCRUM the core values are commitment, openness, focus, respect and courage. However, SCRUM as a framework focusses only on a certain aspect of the overall Agile movement. Furthermore, some people think Agile is a methodology. If you follow well-known process steps, applying allways the same pattern to certain situations you apply a certain methodology to arrive at a goal. But Agile is not a collection of best-practices, a rule-set and you’re fine. Others look at their organization with the sole ambition to become Agile. But there is no state you can arrive at and claim – “Now I’m Agile”. Agile is the path, not the goal. 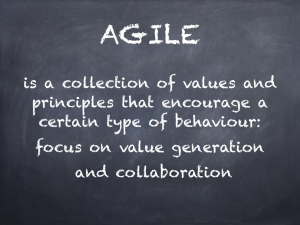 So what is a definition for Agile in organization context? 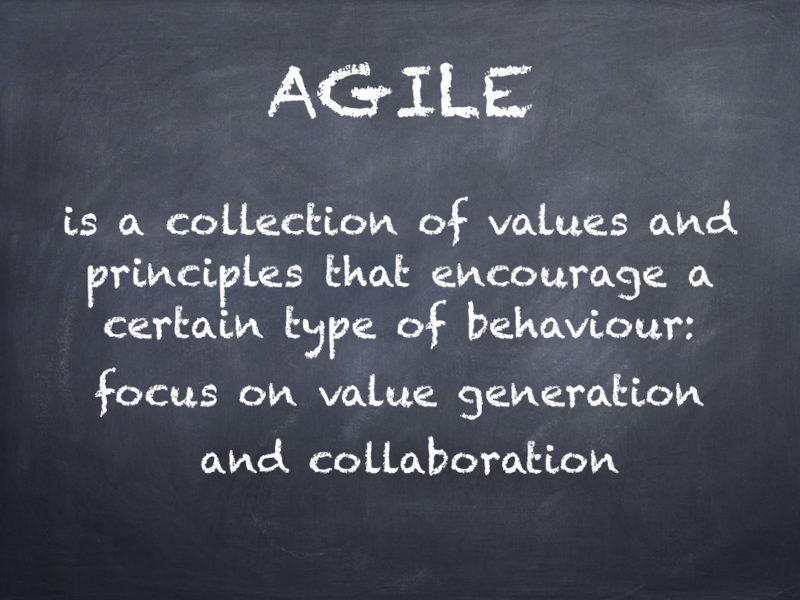 Read the great blog post from Jeff Patton about Agile development is more culture than process. Also a great source of insights is the Agile Manifesto.